B Braun Medical are a manufacturer of high quality surgical instruments. 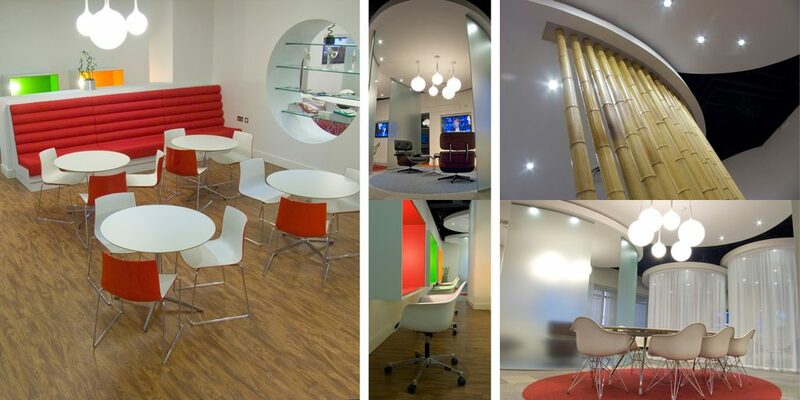 In competition with several other companies, we were awarded the contract to create a new business training centre on the back of our innovative design scheme which was described by the client as “the curved ball“ that turned their expectations completely upside down. 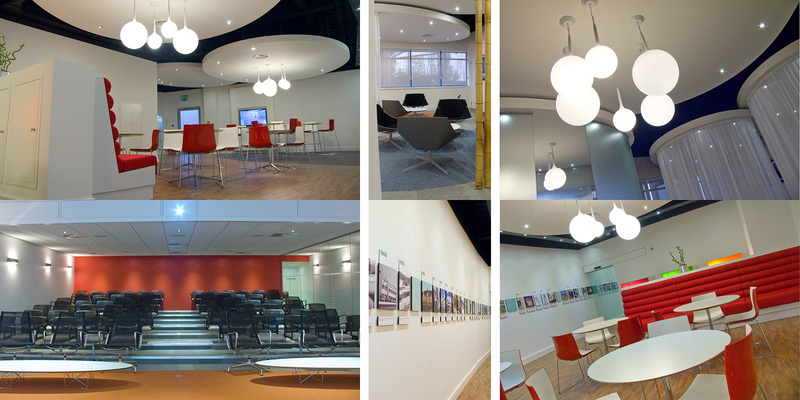 The scheme comprises several meeting zones, a refreshment centre and a fully functional auditorium for 100 people. The space uses a variety of materials to create individual privacy; bamboo, voiles, glass and white wall all come together with distinctive Artemide Castore lighting to define a variety of spaces. During the design process we chose to specify a number of design classics from the Eames Collection by Vitra, together with contemporary yet functional seating such as Boss Mars in the auditorium, Fritz Hansen Space chairs and Arper Catifa 46 in the café. 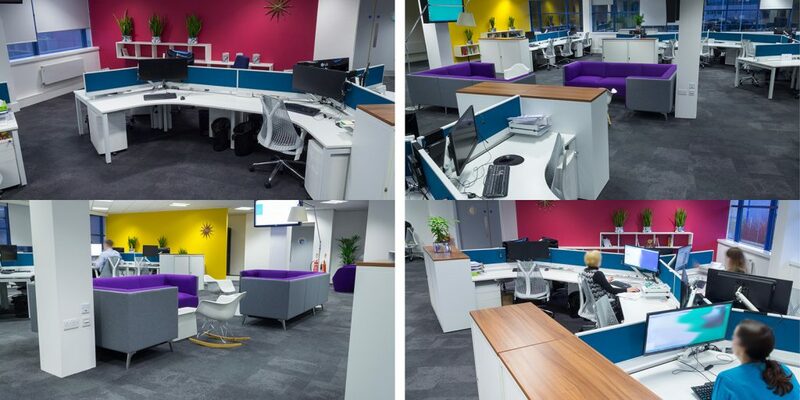 Corporate Workspace offered a full turnkey package; we designed the space, removed the existing interior, constructed the new space, supplied the furniture and also handled all of the complex audio-visual requirements needed to create a full up to the minute Business Auditorium. The Business Centre project provided the basis for a successful relationship and in late 2012 we were asked to provide a long-term design proposal to re-stack the main office building. The initial proposal was developed, with comprehensive showroom visits and visuals, into a design intent document and budget costs for approval with B Braun’s head office in Germany. 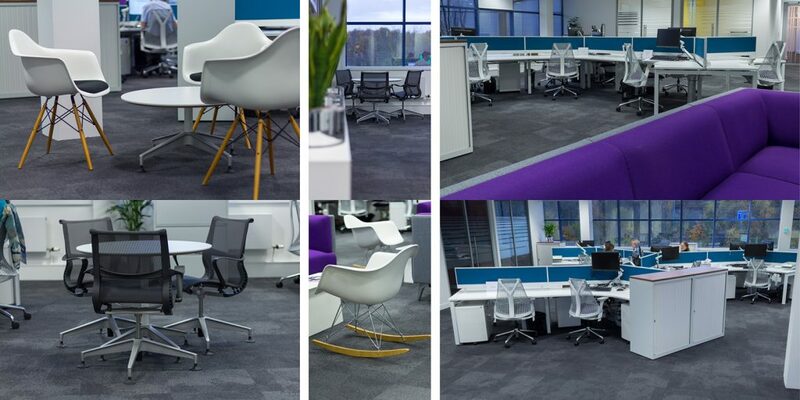 Herman Miller Sense desking, Sayl and Setu chairs were chosen for the core office areas along with various signature pieces from other manufacturers including Vitra, Connection Seating and Boss Design. Further projects were identified during the process that would need to be undertaken first or in conjunction with the main project in order to free up space within the main building. The first of these, the IT area, being completed in early-2015 followed by the cafeteria project which was completed in mid-2015. BBraun’s existing cafeteria was a large space, used only at lunchtime. 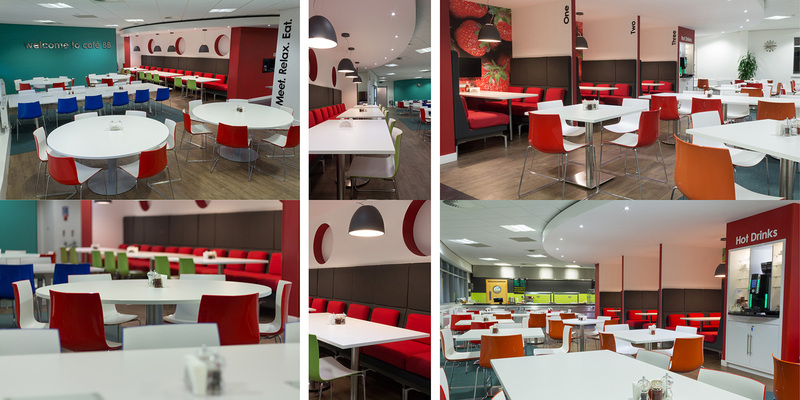 The new cafeteria area was developed as a multi-functional space for staff to use throughout the day to complement the Business Centre and reflects a similar aesthetic with extensive use of Catifa 46 chairs. The re-stack of the main office building was undertaken in three phases throughout 2016 with phase 3 being complete by September.